"A Movement to Reach All Nations"
Application is usually made following a preliminary evaluation process. Each person who applies is given an opportunity for an individual evaluation consultation. By this process we determine qualifications for acceptance into a program of study. We have worked out a simple method of preliminary evaluation. We are an “Open Admission” Bible College. This means that we reserve the right to admit any qualified student. It also means that we do not discriminate against students because of their academic background. As an International School, we encourage applications from prospective students who live outside of the United States. Please note: Because all of our programs are in English, prospective students must demonstrate acceptable English language skill prior to enrollment. 2. Prospective students must have adequate study resources (access to email, the internet, and postal support). 3. Since we bring the Bible School to the student, we have no need to participate in the U.S. 1-20 student visa program. Entrance requirements are specific for each program. 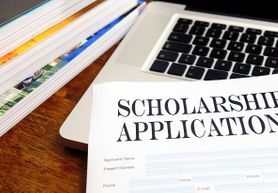 Application to an undergraduate program by persons not having previously earned college transfer credits will involve a careful review in order to assure placement in the most appropriate program. A high school diploma, GED or validation of comparable qualification will be required. Policy on accepting credits & degrees from other schools. Credits and degrees earned at affiliated institutions accredited by a USDE approved accreditor: All requests for the recognition of credits and degrees earned at institutions as noted above will be carefully reviewed. Providing the degree or credits are acceptable relevant to the program into which application is being made, it is a practical certainty that credits and degrees earned will be accepted by IFCA – BC. However, even in the case of these schools, IFCA – BC reserves the right to decline acceptance. All requests for the recognition of credits and degrees earned at other institutions will be carefully reviewed. Providing the course/credit and degree requirements meet appropriate and generally recognized academic guidelines, the degree or credits are acceptably relevant to the program into which application is being made, and were earned through an institution verified by IFCA – BC to have met these requirements, there is not practical reason why such credits and degrees would not be accepted by IFCA – BC. However, IFCA – BC reserves the right to decline such acceptance. The Office of the Registrar must approve all candidates for graduation. Contact the Office of the Registrar for confirmation. After all academic and financial requirements are validated by the office of the Registrar, the student will be graduated. The student will have the option of graduating off-campus (in abstention). In which case, the degree will be mailed to the graduate. The student will also have the option of attending the on-campus graduation exercises held annually at one of our designated church campuses with graduates coming from across the United States and other nations. Graduation information is sent to all prospective graduates in January of each year. Annual graduation exercises are extraordinary events, and students are encouraged to consider adding this unique component to their educational experience. Grading Process: Each course must be completed with a passing grade of not less than a “C” (2.0) for undergraduate programs. If a grade falls below the required minimum, students are not automatically failed, but are assisted in knowing exactly what is required for successful re-submission. The goal is always to assure the highest quality education possible, and students may be confident that we actively work with them toward this goal. If a student feels that there is an error on his grade report, he/she must bring the appeal process within thirty days of receiving the grade report. After thirty days the grade is considered final and is not subject to appeal by the student or any third party. 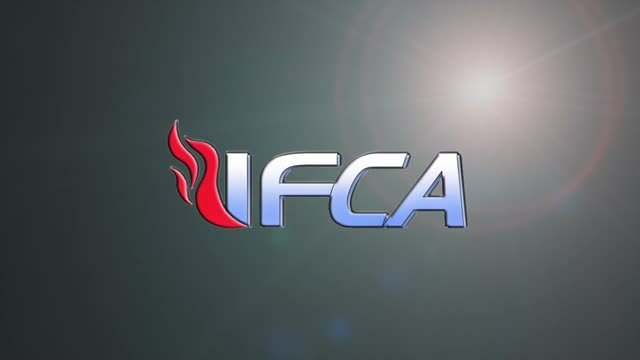 IFCA – BC is not responsible for lost tests, projects, etc. Please be sure to make a copy of all material prior to submitting material to IFCA – BC for grading and evaluation. The student will be contacted and made aware of the situation and given an opportunity to respond. The student will be placed on Academic probation if it is deemed there was violation. The first time will result in a “0” on the assignment. The second time will result in a 6 month expulsion. The third time will result in a final expulsion. A student may appeal the decision to the IFCA – BC President who then, in conjunction with the IFCA – BC board, will render the final decision. When a student is expelled for cheating, there will be NO REFUNDS GIVEN. A course may be repeated once if the student receives a grade of less than “C”. A course may be repeated one time for an additional charge if the student receives a “C” or higher. The second grade, in all circumstances, replaces the first grade for the purpose of calculating the cumulative grade point average. Any student receiving an “F” or “I” must contact the Grade Department for further instructions. No student will be allowed to graduate with an “F” or “I” in a required course. Any undergraduate student receiving three “Fs” will be placed on academic probation. Up-front payment option for one course year (10 classes): $1,000 pain in 4 monthly installments over the first four months. Once the four payments are made the student will have access to 10 courses or one program year. When the 10 courses have been completed the student pays another program year following the same schedule. The total discount for paying for each year up-front is $500 for a 2-year program and $1,000 for a 4-year program. Where does the tuition fee go? Why is the cost of tuition so low at IFCA Bible College? Our state of the art Bible College utilizes online, live-stream, and video based curriculum. This allows us to focus on educating students without having to pay for expensive buildings. With professors who believe in the mission, we’re able to keep the costs low without sacrificing quality. The best thing: The student is able to pay as you go or make a one-time payment so you’re not in debt for life! When auditing a class, no grade or credit is given. Students auditing classes are not required to do assignments or take exams. A student may not claim credit for the course at a later date without officially enrolling and completing that course. A student may change from audit to credit upon submitting a written request to the Academic Dean’s office for permission to change. The change of status from audit to credit would involve an official admission process. A student cannot change from credit to audit status without first officially withdrawing from the course after having first received permission from that professor to do so. This conversion from an audit to a credit course may not be performed after the beginning of the third hour of classes. A financial adjustment for this change will be made.